To be still is not a common practice these days. To stop. Wait. Take a breath. But, God asks us to simply be still anyway. This concept has become something that seems foreign, unattainable, and unrealistic in our culture. We have worked our lives in a frenzy of sorts, filling it with positive, amazing things, but filling it nonetheless. Constantly going and moving. However, we see that God provides us with something different, another option other then our constantly moving life. To be still literally means to collapse, become helpless, or relax. 1. Stop. Stopping takes a great deal of trust. Psalm 46:10, "Be still, and know that I am God." Stopping is to allow God do something that we are not trying to control. To let go of that control takes a great deal of trust. BUT isn't God far more capable of doing great things when we are not trying to constantly control our own lives? 2. Wait. Waiting takes a lot of patience. Psalm 37:7: "Be still before the Lord and wait patiently for him." When we are called to be still, waiting is involved. We are letting go of that control, giving God our trust to deal with our hearts and lives. Healing. Mending. Embracing. Giving grace. Showing mercy. Being present. In those moments we are waiting. Waiting for God to move in a way we recognize (this is why we need to constantly seek Jesus, know his heart, so we can see him move). 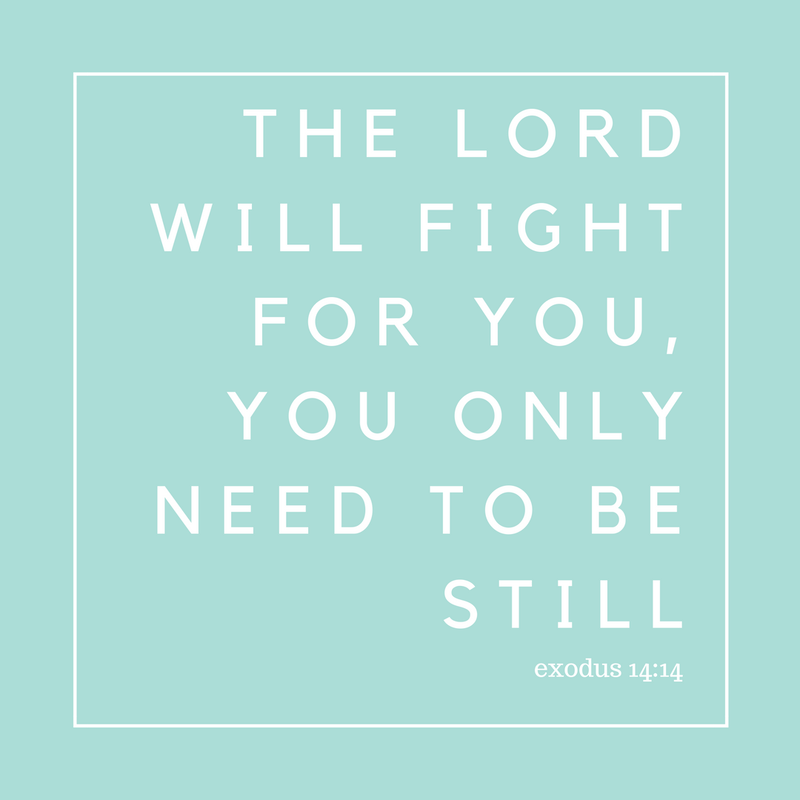 He is constantly present and fighting for us, our responsibility is to be still so that we can get out of the way and allow God to move in amazing ways, in his way. 3. Freedom. Freedom. 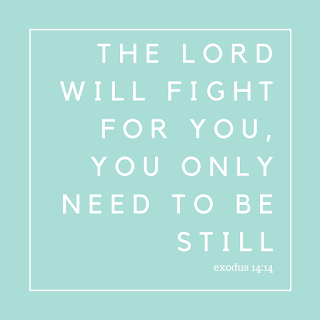 Exodus 14:14, "The Lord will FIGHT for you, you only need to be still." The feeling of freedom is different for everyone. For me, freedom is simple. It looks like a quiet beach, waves crashing, hot sun and me laying on a towel with zero cares in the world. I can hear the birds making their noises, the waves rhythmically crushing against the shore reminding me that God faithful draws the waves in the same direction over and over. That is emotionally freeing for me. But being still, that has the same sense of freedom. To simply recognize that when we allow God to have the control over our lives, we can have that freedom and peace. Close your eyes. Find that sense of peace. Tell yourself to be still. How can you be still in the moment you are in right now?